Principal Founder of the T.H.A.A. More than 50 years ago, Townsend Harris High School closed its doors. Some believed that Fiorello LaGuardia, the Mayor of New York City, thought that the funds allocated to run Townsend Harris could be put to better use. Why should New York City support a campus school for short, bright, adolescent males? Others attributed less benign motives to the Mayor. In any case, the school was closed. To the alumni, there was a mystique about Townsend Harris that could not be denied. 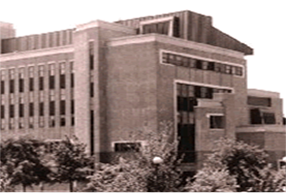 Very often, when friends or acquaintances met, somebody would mention that he went to Townsend Harris. Immediately, if another alumnus were present, there would be a cry of glee at having discovered a "compatriot." Nostalgia would reign for the following half-hour. The persistent school pride which I encountered over and over again suggested that perhaps Harris grads would welcome the idea of joining an alumni association, despite the fact that 40 years had passed since the school's demise. And so, in the spring of 1979 I placed an ad in the Long Island daily, Newsday, and invited alumni to contact me. The response was hardly overwhelming -- a total of four or five calls. However, like other Harrisites I was not easily discouraged. My next ad was placed in the New York Times, and it received a more respectable response -- about 25. Fortuitously, two distinguished alumni, New York State Supreme Court Justices William Kappelman and Bentley Kassal. '33, had the same idea and had placed their own ad in the New York Times. When they learned of my attempts to organize an association, they sent me their responses and bade me to continue. The big breakthrough came, however, from a subsequent notice that was placed in the City College Alumnus. More than 100 alumni responded. Much of 1979 and 1980 were spent sending out letters, spreading the idea by word of mouth, and collecting the modest ten dollars dues. I marveled at the fact that people were willing to send in dues to an organization that had no officers, no charter, no elections, and no meetings. Perhaps, I thought, Harrisites might not be as smart as they had been reputed to be. Eventually a newsletter was published and members were informed that it was time to really get organized. Our big coup was the response of Dr. Jonas Salk, '31, who sent in his dues and proudly joined with us. The first meeting of the Townsend Harris Alumni Association was held at the Holiday Inn at LaGuardia (a bit of irony?) Airport in March 1981. More than 400 alumni and spouses attended. It was a huge success. David Schoenbun, '30, the eminent TV news analyst, gave the keynote address. This was followed by two hours of nostalgia provided by members of the audience. Subsequently, a board of directors was recruited, a set of by-laws was adopted, and a slate of officers was elected. 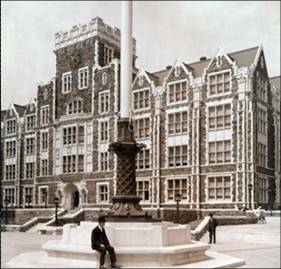 The organization was started as a paean to nostalgia, but under the able leadership of Henry Shereff, '36,fought for and achieved the establishment of Townsend Harris High School at Queens College. I have never before revealed the fact that during that seminal summer of 1979, as a New York City public school principal with the summer off, I was looking for something to occupy my time. From banal thoughts great consequences have followed.